Our mission is to cultivate educational experiences for children and families living in low-income communities through Nutritional, Literacy and Motivational programs. Fortunate Kids is a Community based organization dedicated to strenthing inner-city communities through multiple faucets. We focus on family independence through educational, mentoring and hunger relief programs. 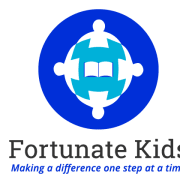 Would you recommend FORTUNATE KIDS?